Jonathan began his media career as a researcher on the Channel 4 chat show Loose Talk. Various other documentaries and shows followed before he began working on Soul Train. It was whilst working on the show that he met researcher Alan Marke and the pair came up with the idea of The Last Resort and their own production company. In 1987 Channel X was born. Finding themselves short of a satisfactory host Jonathan stepped in, literally as 'the last resort', and made his television presenting debut in January 1987. The show was a hit and broke the mould of the traditional TV chat show in this country; as a result, Channel 4 commissioned a total of four series. 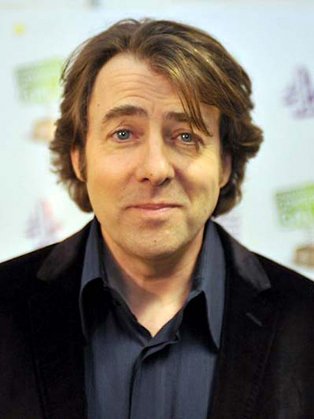 Jonathan's prolific television career as a presenter has included: The Incredibly Strange Film Show (1988-1989); One Hour with Jonathan Ross (1990); For One Week Only (1991); Tonight With Jonathan Ross; Saturday Zoo; Gag Tag (with Frank Skinner); Mondo Rosso; The Late Jonathan Ross (1996); In Search Of...; The Big Big Talent Show. In 1991 and subsequent years Jonathan has compered the British Comedy Awards. In 1999 Jonathan became Barry Norman's successor to the BBC One flagship film show. Hosted his own chat show on BBC1 and the game show It's Only TV... But I Like It. On 2 November 2001, Ross began presenting his chat show Friday Night with Jonathan Ross which ran until July 16 2010 when he left the BBC. Subsequently, The Jonathan Ross Show first aired on ITV on September 3 2011. In 2006 he was made a Fellow of University College, London (UCL), into which his alma mater, SSEES, had been absorbed and in 2012 he got Special Recognition award at the National Television Awards.